It happens sometimes. Academic historians think they have consigned a myth safely to long-deserved oblivion, only to see it pop up again and again. This time, New York Times journalist Clyde Haberman repeats the tired old falsehood that conservative evangelicals only got into politics in the 1970s. What do we have to do to get rid of this misleading but popular timeline? Here’s the story the way it is often told: White evangelicals had always steered clear of politics, but when Jimmy Carter was elected president in 1976, conservative white evangelicals rallied against him. Jerry Falwell Sr. led them out of their churches and into polling booths to elect Ronald Reagan and become a political force. It’s a compelling timeline, but it’s just not true. American evangelicals had long steered clear of politics, but with the advent of Moral Majority that was no longer so. For really the first time in any significant way, evangelicalism becomes interlocked with the Republican Party. evangelicals gained prominence during Ronald Reagan’s campaign not because they were speaking out on political issues—they had been doing this for decades—but because they were taking over the Republican Party. It was an event more than fifty years in the making. When MBI’s radio station came under political pressure . . . Gray came out swinging. “The time for fighting has begun,” Gray intoned ominously. If MBI’s lawyer was not powerful enough to protect the school’s rights, Gray insisted, then the school should enlist the political support of allies such as Missouri senator James M. Reed. 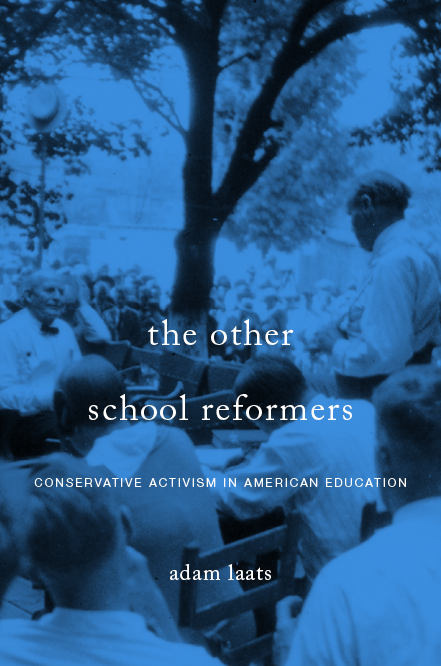 There was no doubt in Gray’s mind that his institution must engage with mainstream politics. Retreat and withdrawal, Gray reasoned, would compromise his school’s missionary testimony. As the savvy historians quoted in the NYT piece are very well aware—leaders in the field such as Randall Balmer and John Fea—there has never been a time when white evangelicals were really out of politics. Rather, unique among American religious groups, America’s white evangelicals have always considered themselves both outside the world and, in America at least, the proper people to be in charge of it. It has been white evangelical leaders who have promoted this myth that they were once outside of politics, and only reluctantly got involved in the scary secular seventies. If we really want to understand American history and politics—let alone the enormous support for Trump among white evangelicals—we need to stop re-telling this convenient evangelical myth as if it were true. Rich parents can relax. At least according to an article in this week’s Economist. But fundamentalist parents never can. They have to worry about more than their kids’ careers. They have to fret about eternal damnation. And they have to worry that Satan lurks in every textbook, every TV show, and every mainstream school. Well-to-do parents fear two things: that their children will die in a freak accident, and that they will not get into Harvard. Both fears lead to exaggerated and ultimately counterproductive lifestyles. In terms of safety, the article notes, an American child under five years of age in 1950 was five times as likely to die of disease or accident as that same kid would be today. And though it is difficult to get into Harvard, most kids of affluent families will have fine careers without an Ivy-League transcript. But fundamentalist parents have more to worry about. Since the birth of American fundamentalism in the 1920s, conservative evangelicals have fretted about the influence of mainstream culture on their offspring. Even if their kids don’t get polio, and even if their kids do get into Harvard, fundamentalist parents have to worry that success in life will lead to terrible punishment after death. For fundamentalists, even Harvard itself can be more of a threat than an achievement. the greatest fear that haunts evangelical parents is that their children will not follow in their footsteps, that they will not sustain the same level of piety as their parents—stated baldly, that they are headed for hell rather than heaven. As I argued in my 1920s book, historically this fear for the children has fueled fundamentalism’s public campaigns. Fundamentalist leaders and parents worried that no level of affluence and economic privilege could protect their children from a culture sliding nonchalantly straight to hell. a certain college. At the end of nine months she came home with her faith shattered. She laughed at God and the old time religion. She broke the hearts of her mother and father. They wept over her. They prayed over her. It availed nothing. At last they chided her. She rushed upstairs, stood in front of a mirror, took a gun and blew out her brains. Even when fundamentalist families did not experience that sort of cataclysm, we must keep their anxiety in mind when we try to understand fundamentalism from the outside. Why do conservative evangelicals fight against evolution? Why do they insist on school prayer? Why do they worry about rights for homosexuals? Middle-class parents should relax a bit, cancel a violin class or two and let their kids play outside. Easy enough. But fundamentalists face a very different situation. If we want to understand the mind of fundamentalists, we can try a mental experiment. Non-fundamentalist parents have a hard enough time relaxing about their kids, even though they feel at home in mainstream culture. Non-fundamentalist parents fret too much about their kids’ futures, even if they don’t feel alienated by their local public schools and elite universities. Let’s try to translate the anxiety experienced by fundamentalist parents into mainstream terms. Imagine, for example, the sorts of public outcry there would be if public schools began promoting ideas or practices that affluent secular parents found dangerous. For instance, what do you think would happen if a public school somewhere began promoting smoking as a fun and healthy activity?